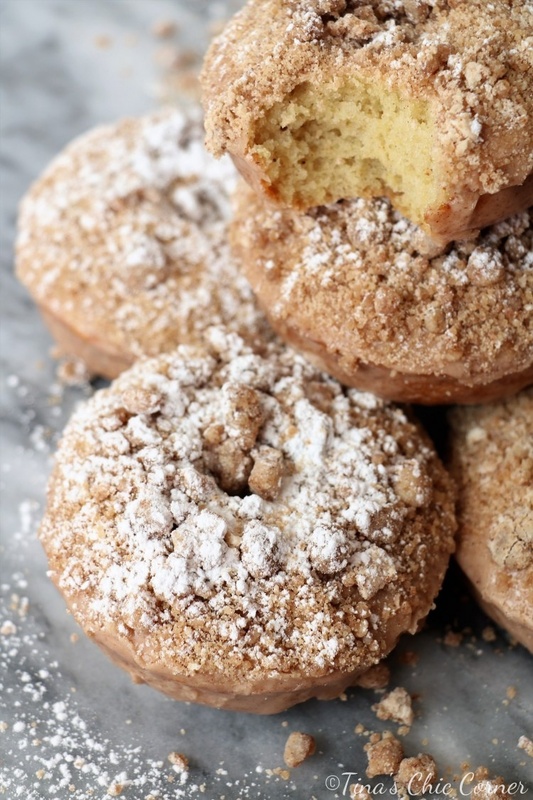 O… M… G. These are the best doughnuts that I’ve ever made. Ever. I’ve made a lot of baked doughnuts and I’m a tough critic. I suppose it’s because a baked doughnut is not fried (duh) and in my mind and they’re just not the same. I refuse to own a fryer (because I don’t need more fatty temptations) so I’ve come to terms with the fact that baked doughnuts tend to look and taste like oddly shaped cakes. In comparing these doughnuts to all the others I’ve made (some on the blog and some that weren’t good enough to make the blog), they are the bomb dot com for several reasons. The cake is moist and dense, unlike some other cake doughnut recipes that are spongy. Spongy is not a bad thing most of the time, but it really doesn’t play nice with glaze. These also have a hint of nutmeg to make the vanilla cake so not boring. The glaze is delicious and it actually stayed on the outside of the doughnut, meaning that it didn’t soak into the cake and make the cake soggy. Gah, just look at that glaze! I finally got a glaze to “work” correctly! You have no idea how excited that makes me. Can you start to see why these doughnuts are the best I’ve made? When you combine the awesome cake, delicious glaze, and amazing crumbs together you’ve got yourself one heck of a doughnut. In fact, I think these cake doughnuts are better than many real (fried) doughnuts. Yup, they are that good. 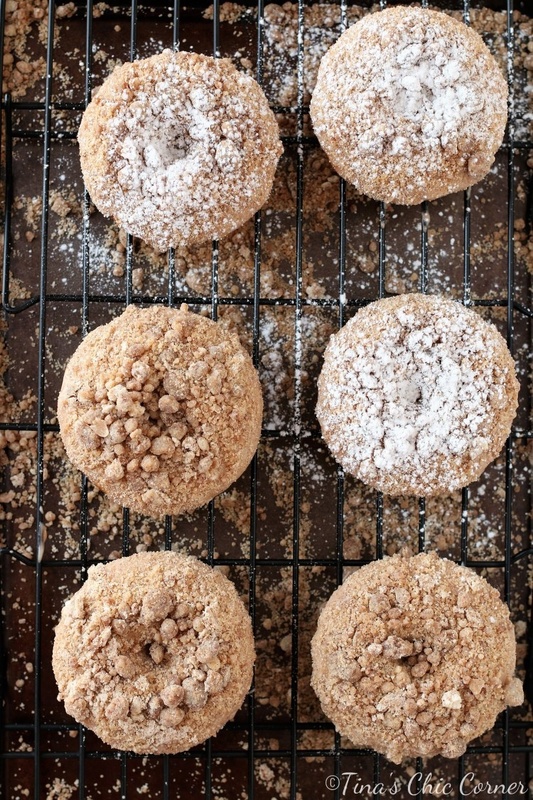 These doughnuts are a fantastic take on Entenmann’s classic crumb donuts. My family are all huge fans of Entenmann’s, especially my dad. Who wouldn’t be because everything they make is delicious? I made these for my dad (but my mom, hubby and I also took part in enjoying them). I wish you could have seen the expression on his face when I presented these doughnuts to him. Priceless. Add in the light brown sugar, cinnamon, and salt and stir everything together. Add in the flour and stir. Cook for about 5 minutes, stirring occasionally. Dunk the doughnuts into the glaze, covering the entire doughnut. These do look like E donuts! I prefer baked donuts because the fried ones always taste greasy. I can’t wait to make these. I do have a question and a request. First, the question. 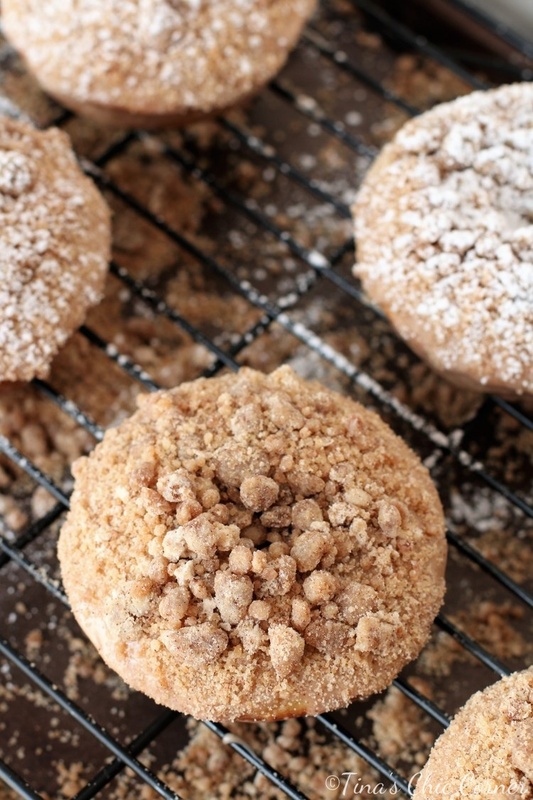 Can the crumbs be put on before baking, like a crumb cake? 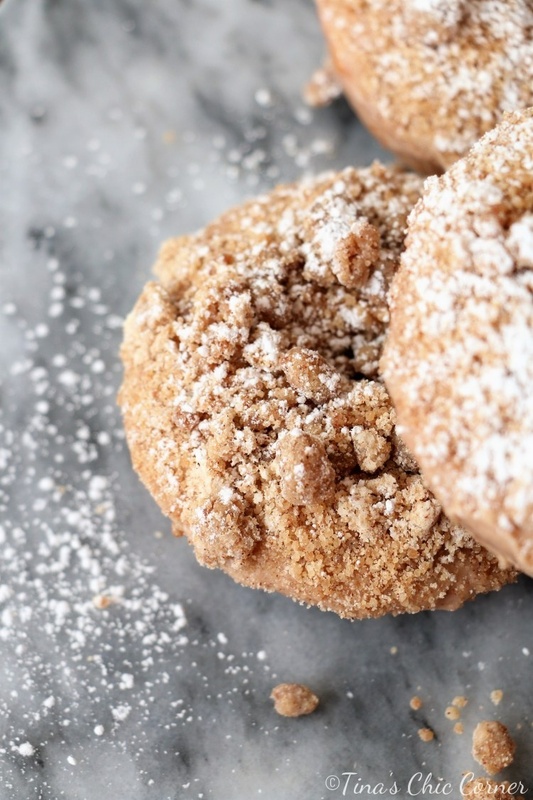 The request…can you try a chocolate crumb donut? Thanks, Tina. I’ve not tried to bake the donuts with the crumbs. The source of this recipe said she tried baking the crumbs & she felt the crumbs came out too crunchy/hard. I stuck with the recipe she posted & am happy with it but if you try baking the crumbs let me know how you make out.